Can we just start by taking a little moment to appreciate scones? However you pronounce it – don’t worry, we all know it’s not pronounced ‘scones‘ (and that you just pronounced that two ways in your head…) – they are one of the true titans of the baking world. When done just right you know that they are going to taste phenomenal. Today though we’re going for a spot of what many would describe simply as ‘heresy’. Lemonade scones. If you’ve gone “a WHAT?!?!?!? !” and can’t decide whether to close your browser in sheer horror or read on to see what’s become of this blog, I would encourage you to read on. Because much as I love a ‘proper’ scone, I’m very scared of making them. These lemonade scones provide an alternative that literally anyone could make. If you’re ‘not a baker’ or ‘can’t bake to save your life’, give these a go and you’ll be amazed. The reason for making scones scares me is simple: I have zero backbone. You see, my mum makes possibly the best scones in the whole entire world. She’d likely be modest and deny such a claim, but to me, it’s entirely true. 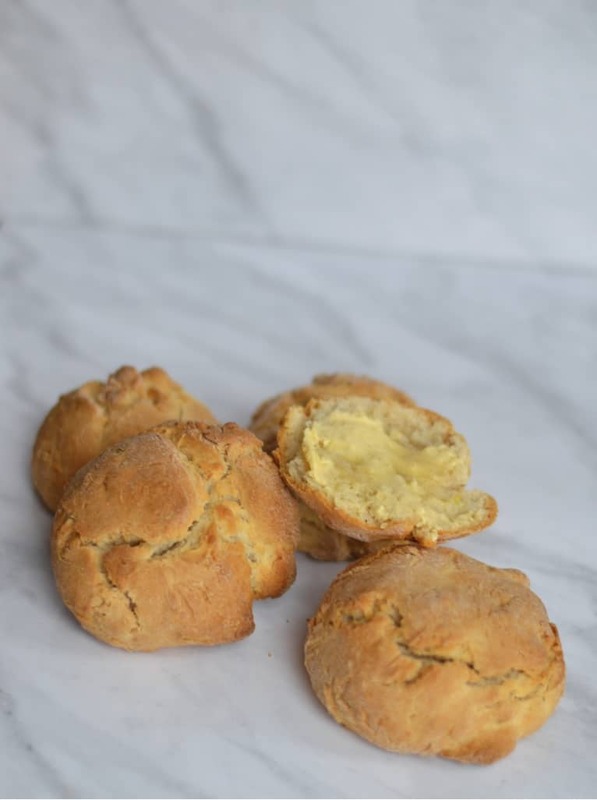 The house smelling of scones fresh out of the oven and wondering if I could snaffle one from the cooling rack beside the cooker without her noticing (she definitely would and did) is one of those childhood memories you cannot get out of your head. And I’m far too competitive and know that mine wouldn’t be as good, so have never tried. Ridiculous, right? Well, I think this is step one in overcoming this pitiful (and quite out of character) lack of ambition. These lemonade scones are one of the easiest things I’ve ever made and taste way better than anything you’d buy in a shop. You only need three ingredients in many of the versions I’ve previously seen – cream, lemonade and flour – but I added a bit of lemon zest and vanilla to mine as well to give more of a flavour; I would encourage you to do the same as it gives another dimension to the final result. 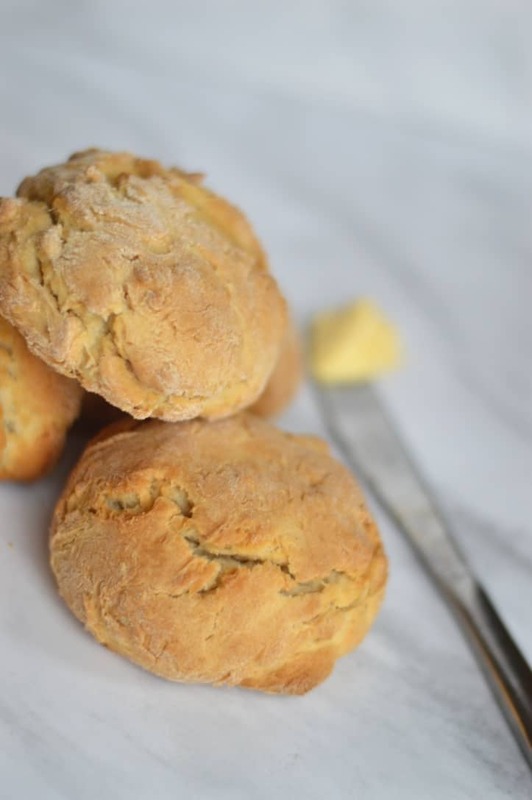 These might be a total cheat, but if you’re in the market for a scone and aren’t going to make ‘the real thing’ this is definitely a good alternative. Whether you’re not confident with baking or simply refuse to believe the texture and crumb will be like the real thing, go and give these a try. Let me know how you get on, you’re going to be pleasantly surprised. One quick little note for non-UK readers, lemonade in this context is the clear, fizzy drink – not the cloudy yellow variety. If you can’t get lemonade like this where you are, Sprite is a good alternative. This recipe is for absolutely everyone to have a go at. It makes about 8 medium-sized scones. If you’re wondering what to spread on them, try some super-easy homemade lemon curd. Preheat your oven to 220°C and put your baking sheet in the centre. In a large bowl, add in the flour, then slowly mix in the cream. Followed by the sprite, lemon zest and vanilla. Mix until just combined – be careful not to over-mix (they’ll not be as light). Roll out your dough on a lightly floured worktop, you want it about 3cm thick. Using a scone cutter – or a wine glass works just as well… – cut out the circles so they are about 5-7cm across. You’ll probably have the combine the cutoff scone dough and reroll it out to get the last couple. 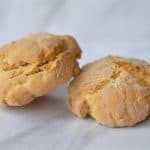 Take your baking sheet from the oven, lightly grease and place the scones on it. Cook in the centre of the oven for 16-18 minutes, or until they are golden on top.